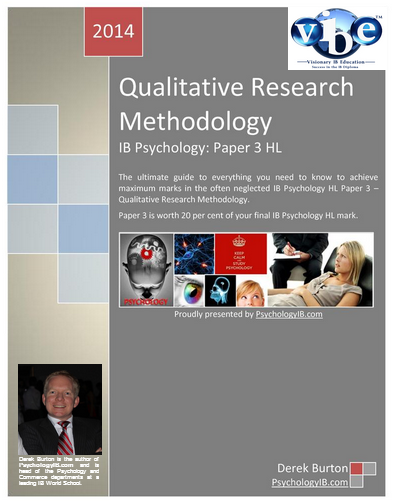 Qualitative Research Methodology for IB Psychology is the higher level Paper 3 exam (20% of final grade). It examines the different methods used by qualitative researchers in Psychology. As it is worth 20 per cent of the student's final grade, the Qualitative Research Methodology paper is an essential section in the HL Psychology course. It is often not well taught and often neglected in student revision. Here, in the Ultimate Guide, the key learning outcomes are succinctly covered and the activities actively engage the student to learn all key concepts. The exam practice questions allow students to familiarise themselves with the structure and the use of stimulus material (pieces of qualitative research) that are employed in the Paper 3 examination. This comprehensive guide is the only IB Psychology teaching and learning resource that focuses only on the Paper 3 examination. This excellent resource can be used as a study guide by the student or by the teacher in the classroom as a student workbook. The guided questions enable full understanding of material and practice at answering IB Psychology paper 3 exam questions. The Ultimate Guide to Qualitative Research Methods contains 50+ pages of key notes and another 20+ pages of knowledge and exam practice questions. What is Qualitative Research in the IB Psychology course? IB Psychology acknowledges that Qualitative research takes place in the real world, as opposed to the laboratory, and deals with how people give meaning to their own experiences. It involves research of behaviour in a natural setting, and is followed by an attempt to interpret the behaviour and the meanings that people have given to their experiences. Qualitative research strategies include the use of observations, interviews and case studies, among others. These will often involve face‑to‑face interactions between researcher and participant where the researcher needs to be flexible and sensitive to the needs of the social context within which the data is obtained. The data is subsequently analysed and interpreted. Generally the aim of qualitative research is to allow themes, categories or theories to emerge from the data, rather than to focus narrowly on preconceived ideas or hypotheses. Sampling methods used in qualitative research are significantly different to those used in quantitative research. Random sampling is not normally used, as generalisation of findings to a large population is less important. Purposive sampling is preferred in qualitative research; participants are often selected for their salient features, which are closely tied to the research aim. The number of participants used in qualitative studies is often small and may, in some cases, be limited to a single individual. Qualitative research normally deals with few participants since its great value lies in understanding the in‑depth experiences and feelings of individuals. Psychologists have learned much from the qualitative research that they currently employ and continue to develop, including the notion that it is possible, with considerable care, to offer a limited degree of generalization from their findings. The qualitative approach needs to be transparent in the description of the methods that it uses since this adds to its credibility. Credibility improves when researchers are reflexive; they attempt to make readers of their research aware of their own potential researcher bias. In addition, it should be acknowledged that participants in the research may change their minds as the research proceeds. The methods used to produce data and the manner of analysis can and do influence research findings. Particularly for those IB Psychology students who are new to qualitative research, it is imperative to be able to tolerate a degree of uncertainty. Human behaviour is frequently complex; the meaning of similar experiences may be interpreted differently by individuals. For example, chronic injury may have a devastating effect upon elite athletes and their immediate family members since it may involve the end of a playing career and a substantial fall of income; but for others, the same injury may offer an opportunity to retire gracefully from the continual demands of their sport and to start a new career in a different area. It is important for students to realise that qualitative and quantitative research complement each other. Each is suited to investigating different aspects of behaviour and should be used appropriately. The IB Psychology Paper 3 examination assesses 18 different learning outcomes which are taken from four key areas: Theory and Practice in qualitative research, Interviews, Observations and Case Studies. 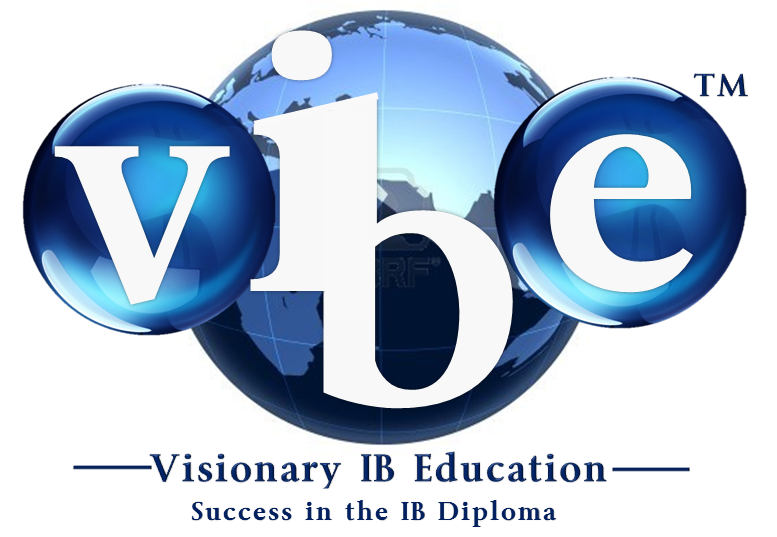 This section is a major component part of the HL IB Psychology course – thus, its 20% weighting in determining the students overall IB Psychology grade. 1. Distinguish between qualitative and quantitative data. 2. Explain strengths and limitations of a qualitative approach to research. 3. To what extent can findings be generalised from qualitative studies? 4. Discuss ethical considerations in qualitative research. 5. Discuss sampling techniques appropriate to qualitative research (for example, purposive sampling, snowball sampling). 6. Explain effects of participant expectations and researcher bias in qualitative research. 7. Explain the importance of credibility in qualitative research. 8. Explain the effect of triangulation on the credibility/trustworthiness of qualitative research. 9. Explain reflexivity in qualitative research. 10. Evaluate semi‑structured, focus group and narrative interviews. 11. Discuss considerations involved before, during and after an interview (for example, sampling method, data recording, traditional versus postmodern transcription, debriefing). 12. Explain how researchers use inductive content analysis (thematic analysis) on interview transcripts. 13. Evaluate participant, non‑participant, naturalistic, overt and covert observations. 14. Discuss considerations involved in setting up and carrying out an observation (for example, audience effect, Hawthorne effect, disclosure). 15. Discuss how researchers analyse data obtained in observational research. 16. Evaluate the use of case studies in research. 17. Explain how a case study could be used to investigate a problem in an organsation or group (for example, a football team, a school, a family). 18. Discuss the extent to which findings can be generalised from a single case study.